Click HERE for more on 'East Germany'. 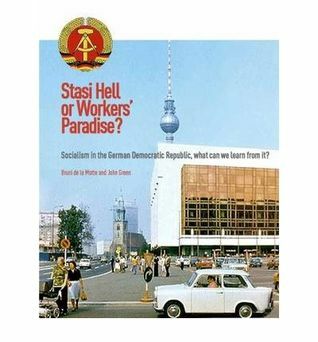 August 26, 2015 – Links International Journal of Socialist Renewal -- Anna Funder’s book Stasiland seems to have become the touchstone for anyone who wishes to find out about life in the German Democratic Republic (GDR, or East Germany). It was given enormous publicity, has been translated into several languages and is one of the most quoted books of reference on the GDR. Its aim is to show how horrendous life in the GDR really was. Funder visited the GDR once as a tourist in 1987 and then returned again in 1996 (six years after unification with the Federal Republic of Germany, or West Germany) and wrote her book. It is made up almost entirely of interviews with only three women who suffered under the GDR authorities, plus a former GDR rock star, a television presenter who was loyal to the state, as well as several shorter ones with former officers of the state security services. December 7, 2014 -- MRZine, posted at Links International Journal of Socialist Renewal -- Political parties in Germany are represented by colours: the Christian-Democrats (CDU), due to clerical ties, are black, the Greens of course are green, the Social Democrats (SPD) are traditionally red. 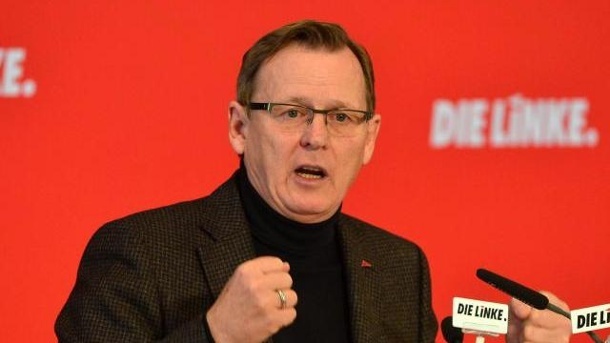 When the redder Die Linke (Left) party came along critics said the SPD should switch to "pink". But it didn't, so the new government in the eastern state of Thuringia is a "red-red-green coalition" -- the very first in Germany with the Die Linke on top! A true sensation! The coalition squeezed to victory -- by one single wavering vote. Were the SPD and Greens really willing to be junior partners with Die Linke, scorned as pariahs? They were, but in an almost exactly split legislature every vote was needed to beat possible maneuvers by the CDU, now very bitter at getting pushed out after ruling Thuringia since 1990. November 16, 2014 -- Green Left Weekly -- The German Democratic Republic (GDR, or "East Germany") disappeared a quarter of a century ago after 41 years’ existence. The East German state is mostly remembered as “Stasiland”, as Anna Funder’s history of its secret police is called. November 15, 2009 -- For the past few weeks the international capitalist mass media has been awash with triumphalist hoopla about the so-called ``collapse of Communism'' as it celebrates the 20th anniversary of the 1989 fall of the Berlin Wall. Below Links International Journal of Socialist Renewal posts a number of commenatries from the left that deal with facts and fictions of those dramatic events, and how the people most effected are faring today. November 16, 2009 – Green Left Weekly -- The 20th anniversary of the opening of the Berlin wall -- November 9 -- was the occasion for self-congratulation by supporters of the capitalist system. They talked of the fall of the wall as heralding a new era of freedom. They failed to note that other walls and fences have been built or strengthened during the past 20 years.